Ghaub guest farm. Photo ©Luise Hoffmann. Mammals of all ages are easy to identify by their shape. However, identifying a plant requires a closer look and paying attention to the structure of the leaves, flowers and fruit. While a tree cannot run away from an inquisitive human being, it may vary considerably in appearance depending on its age and the time of the year. So you need to get out of your car and walk up a tree or shrub to have a really good look. While you’re about it, take a picture or two – from close by as well as a short distance away to record it in its habitat. Fortunately, owners of guest farms and lodges are increasingly becoming aware of the value of the vegetation on their land. 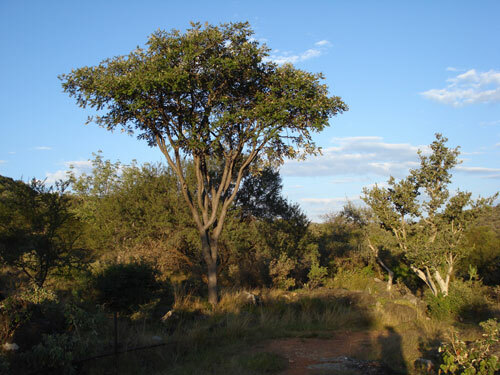 They have had the trees and shrubs around their buildings and along their hiking trails identified and tagged with the Southern African tree numbers, and have been provided with a list stating the botanical and common names with the numbers. These establishments often have a few books on vegetation in which guests may find additional information. 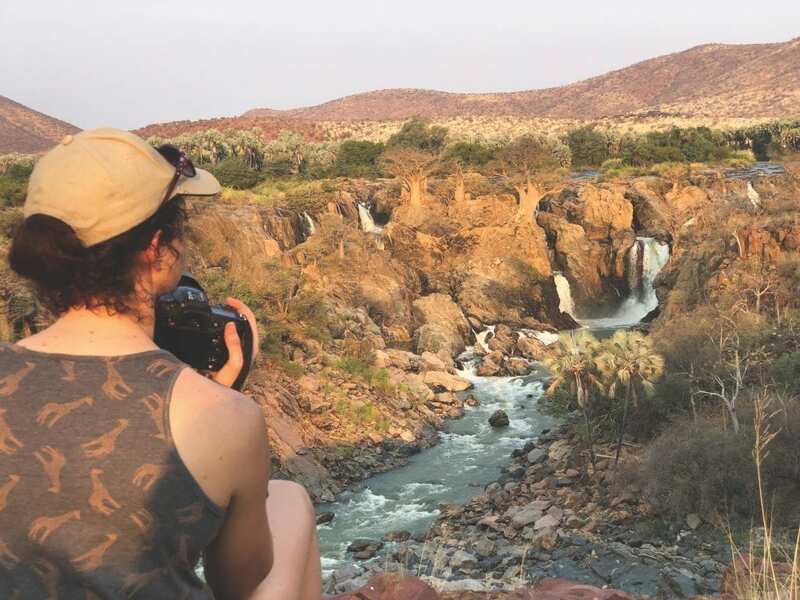 A selection of these lodges and guest farms will be described in this series of four articles written for Travel News Namibia. 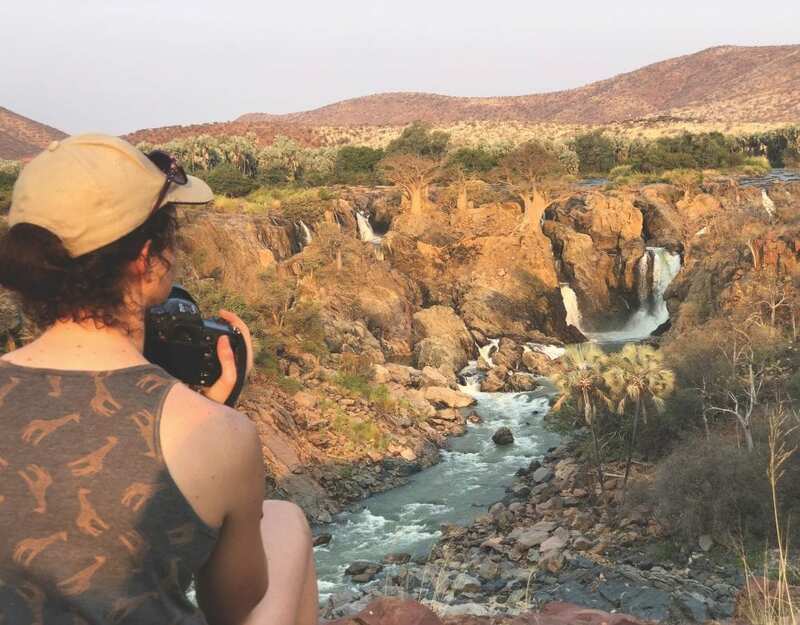 Three kilometres south of Otavi, just off the B1 leading from Windhoek to the north, is Khorab Safari Lodge, a veritable oasis in a lovely shady garden. Besides being a good place for spending the night, the lodge is particularly well positioned for taking a break on what otherwise might become a very long and monotonous drive. It is also well worth stopping here for the refreshments served on the veranda or in the lapa next to the pool. 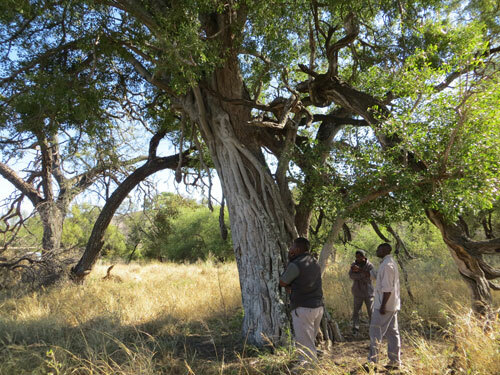 Ask for a tree list at reception and use the opportunity to stretch your legs while strolling under shady foliage and getting to know some of the 33 different Namibian trees and shrubs occurring in the surroundings. Situated on the edge of the Karstveld, Khorab and its surroundings present an excellent array of the trees found in this highly diverse plant region. 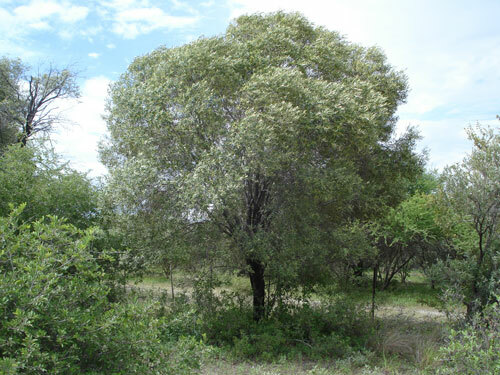 One of the first ones you’re likely to see is the African wattle (215), Peltophorum africanum, which can be spotted along the road north of Otjiwarongo. The wild olive (Nr 617), Olea europaea subsp. africana, is easily recognisable by its narrow olive-green leaves, which are silvery underneath. Here you will also find the first occurrence of the common resin tree (No 375), Ozoroa paniculosa, identifiable by the resinous scent of the crushed leaves and its flattened blue-black berries. Another species not usually visible from the main roads is the Transvaal saffron tree (Nr 416), Elaeodendron transvaalense, which is widespread throughout northern Namibia, albeit never commonly. The kudu-bush (No 532), Combretum apiculatum, with four-winged fruit and shiny simple leaves ending in a twisted point, is particularly common on the grounds of this lodge. The purple-pod terminalia (Nr 550), Terminalia prunioides, will become increasingly common the further north you travel. It has flat, wine-red to purple two-winged pods and encroaches on many of the farms north of Tsumeb, where it is known as mushara. 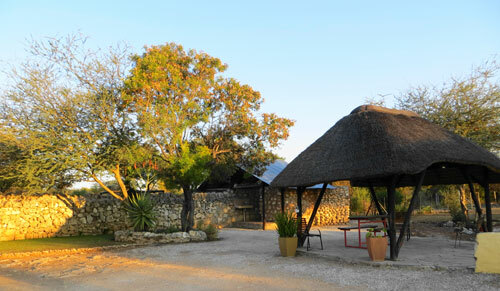 Only about half an hour’s drive from Otavi on the D3022 you will reach Ghaub Guest Farm, an ideal stopover to and from the Etosha National Park, and offering an array of activities to keep you occupied for several days. Set in beautiful plains alternating with hills of bizarre dolomite rock formations, three hiking trails of different lengths can be undertaken here. Sixty different woody species along these trails are tagged with the Southern African tree numbers, with their botanical names on the reverse side of the tags. It is well worth the effort to walk these trails in the company of the very knowledgeable guides, who provide interesting facts on the properties and uses of these plants, and on the natural phenomena evident here in general. The buildings of the lodge are shaded by a grove of casuarina trees, brought from Australia to the country when it was still South West Africa to drain the marshy ground. Along the hiking trails you will encounter several trees very typical of the Karstveld, such as the live-long (362), Lannea discolor, with only a few very upright branches and a crown of dark-green leaves whose silvery undersides shimmer in the wind. The common kirkia (267), Kirkia acuminata, usually has a single grey trunk and a large spreading crown. It is the most common tree on the hilly slopes in this area. The seed of the strangler fig, (48), Ficus burkei, formerly known as F. thonningii, often germinates in the fork of a branch. It sends down thin red aerial roots, which, after reaching the ground, thicken and spread out, turning white and gradually engulfing the entire host tree, and eventually strangling it. There are very impressive examples of this phenomenon on Ghaub. In several instances you will find a tree with branches covered in fig leaves, while other branches are still covered in the leaves of the host. Quite often the host is a leadwood tree (539), Combretum imberbe, which has the tiniest four-winged fruit of all the Combretum species. The white arms of the strangler fig, Ficus burkei, wrapped here around a leadwood tree, Combretum imberbe. The fig will eventually strangle its host. Photo ©Luise Hoffmann. In contrast, the large-fruited combretum (546), Combretum zeyheri, bears the largest fruit of this genus, as the common name implies. It is remarkable to find it in this locality, since it normally grows only in deep sand much further north. The same is true of the red syringa (197), Burkea africana, otherwise found mainly in the Kavango Region. Depending on the season, your guides might also be able to show you two different species of wild medlar and the sour plum. 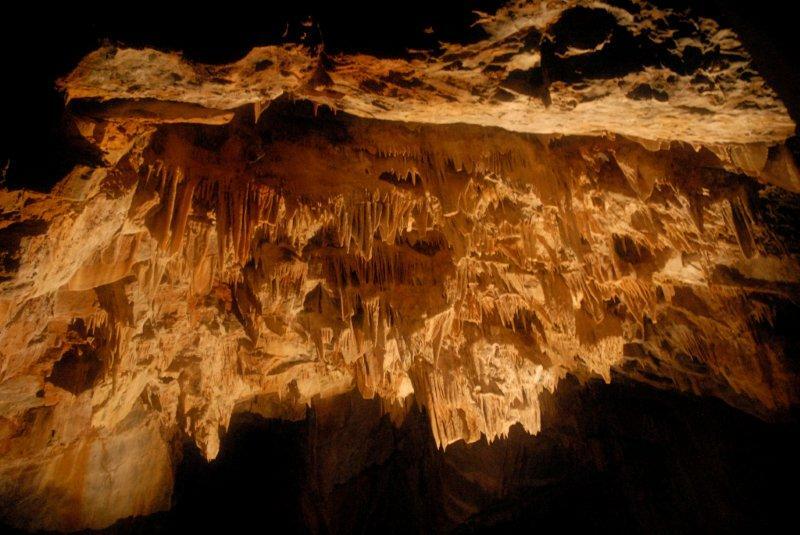 The third-largest cave in Namibia is found on Ghaub. It is 38 metres deep, about 2.5 km long and ends in an underground lake. Along your hike you can admire many beautiful stalactites and stalagmites. 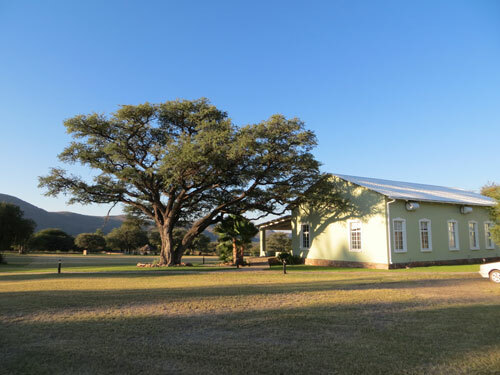 Situated in the triangle formed by Otavi, Tsumeb and Grootfontein, which receives a fairly reliable amount of rain, Ghaub is a working farm where maize is grown for harvesting as well as for cattle fodder. There is a Brahman stud herd here from which bulls are put up for sale, as well as a commercial beef herd. Guests are always welcome to accompany the owner on his daily rounds over the property.